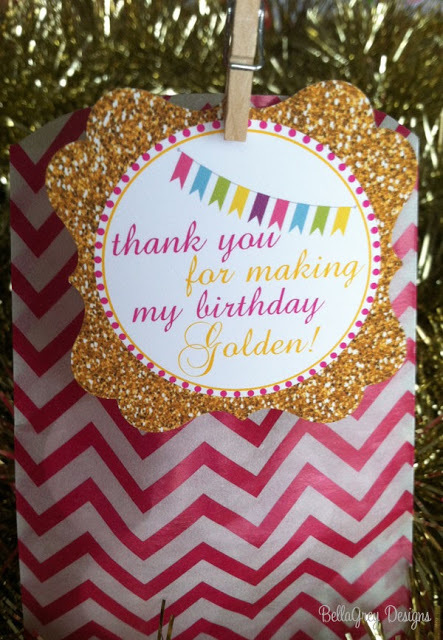 A Golden Birthday – Wonka Style! Your golden birthday happens only once in a lifetime when you turn the age of your birth date. My daughter, who explained the concept to me a few years ago, turned 11 last December 11th. So the pressure was on to put together something golden. And what could be more golden than the ticket that defined Charlie and the Chocolate Factory? The invitations might have been my favorite part of this theme. 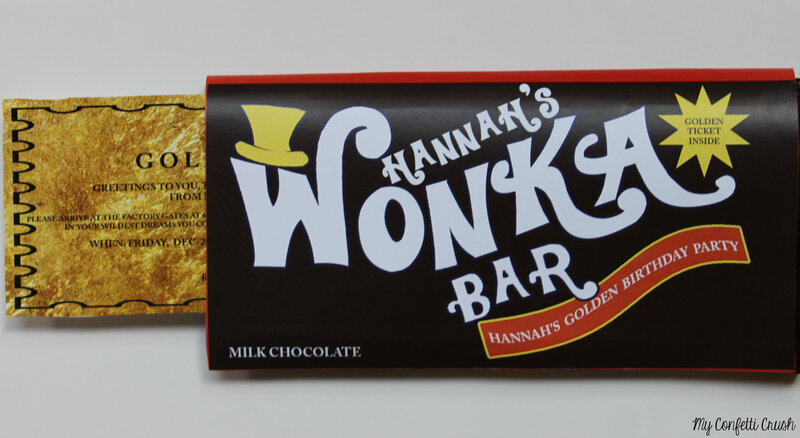 What kid doesn’t want to find a golden ticket in a candy bar? Luckily I found this amazing graphic designer on Etsy who can customize a wrapper and golden ticket for you (click here for details). The golden ticket that you tuck inside the wrapper is the actual invitation with the party details. Make sure you buy the candy bar you plan to wrap before you order so that you know the dimensions you need the template to be. I had the wrappers and tickets printed at my local UPS store and then my daughter hand delivered the chocolate bar invites. When party guests arrived, we had a bubble machine (from Party City) on the porch and a speaker tucked away playing tunes from the movie (Oompa Loompa, Pure Imagination, etc.). 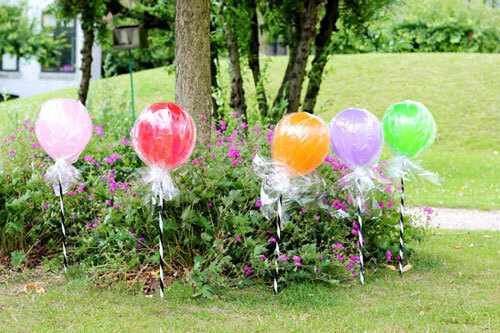 I also would have lined my walk with lollipop balloons like the ones below had the ground not been frozen (curse of the winter birthday). 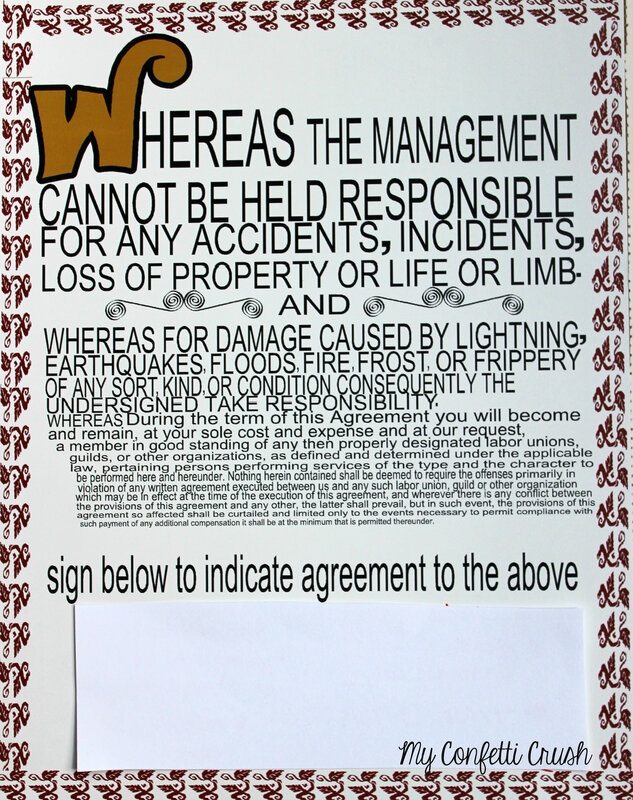 Remember the contract from the movie that each child had to sign before entering the chocolate factory (and the words got smaller and smaller)? As each party guest arrives, they’ll get a kick out of signing the same agreement (assuming their parent isn’t an attorney). Find the template here and then mount in on a piece of cardboard. 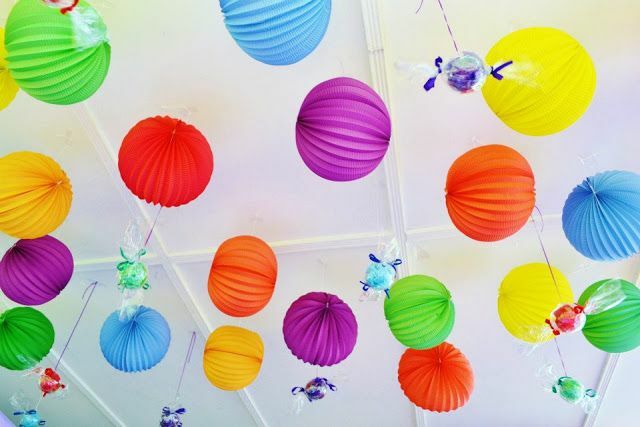 We decorated our basement ceiling with colorful paper lanterns and fake candy. The pièce de résistance is the candy buffet. Vibrant, festive and not to mention, delicious, it’s all about the chocolate and candy. We had a chocolate fountain set up with lots of treats for dipping. 1. Golden egg – wrap a golden egg (raid the Easter supplies if you need to) in multiple layers. Play music from the movie and have the party goers pass the golden egg. When the music stops, whoever is holding the egg unwraps 1 layer. The person that unwraps the golden egg wins a prize. 2. Laffy Taffy pull – Purchase 1 Wonka’s Laffy Taffy for every 2 children. Break them into teams of 2. Each team will tug on opposite ends until the taffy rips. The team with the longest stretched out piece of taffy wins the prize. 3. 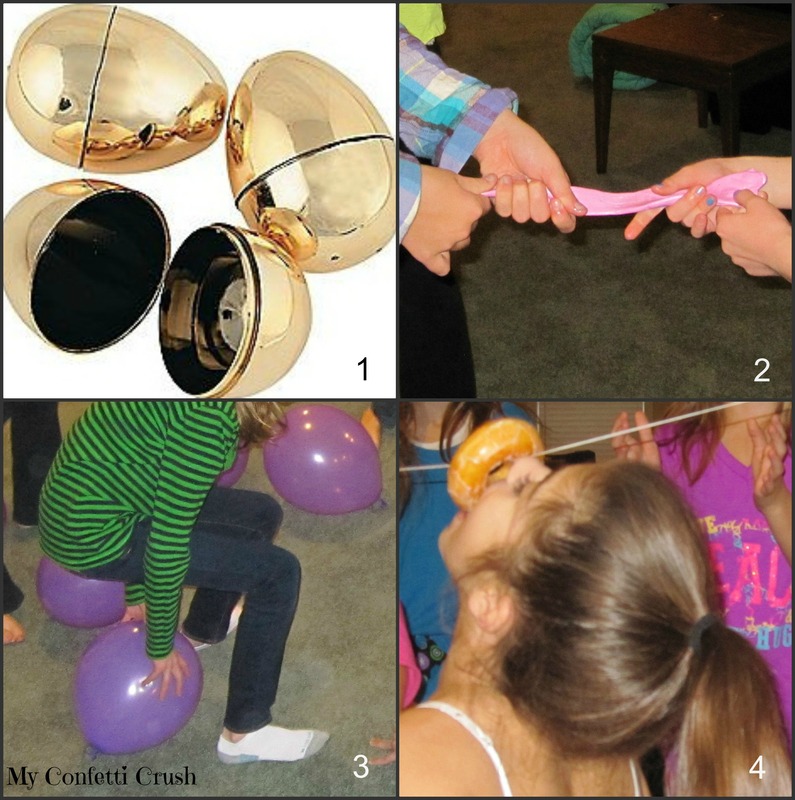 Release Veruca Salt from the Blueberry – Purchase a pack of purple balloons. Put folded pieces of paper into each purple balloon with only one having a picture of Veruca Salt and blow them up. At GO, everyone will start sitting on the balloons to pop them. Whoever finds the balloon with Veruca Salt in it turns her back to normal and wins the game. 4. Augustus Gloop donut eating contest – Have two helpers hold a string with a donut strung on it. Each child gets a turn to eat their donut without using their hands. Party Favors: I used the adorable idea below as my inspiration for our party favors and filled their bags with gold chocolate coins and plenty of Wonka candy. 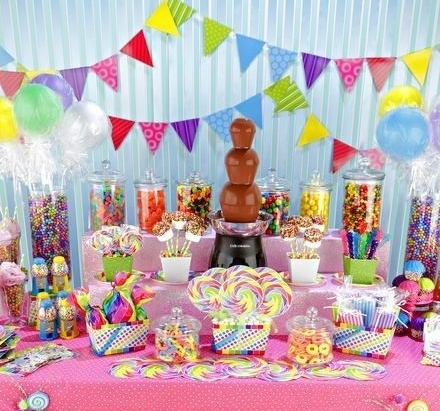 For more Wonka party ideas, visit my Pinterest board. Does anyone else internally cringe a little bit when someone calls them “nice” or “kind”? I’ve been labeled with these attributes fairly frequently throughout my life and for some reason it has driven me CRAZY. Crazy, like it makes me actually want to run out and do something mean (not really, but kind of). I think it’s because, in my mind, words like nice and kind translate to boring. But my lead off link this week, makes a strong case that your level of kindness is tied to your happiness index. And who doesn’t want to be happy? 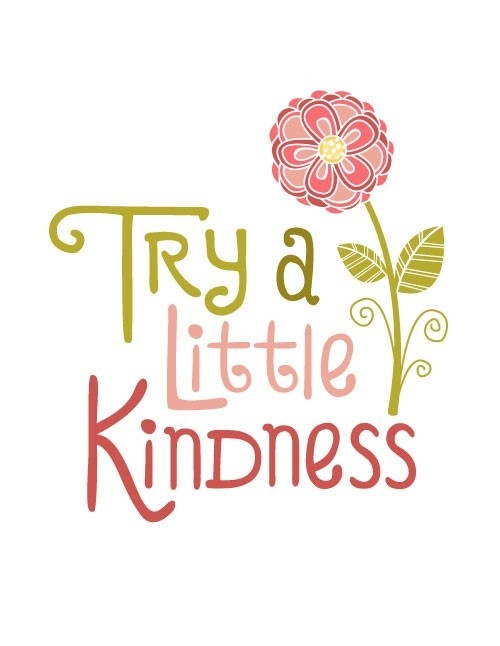 So here’s a quick read on why it’s important to be nice. The little black dress gets all the glory but it’s lesser known sibling, the little white dress, also deserves some attention. Here are 12 must-have LWDs with endless styling combinations. My family could eat Mexican food at least twice a week so I’m always up for trying a new salsa. This peach, crab and avocado salsa is next on my list. Give your dining room wow factor by following these 7 decorating essentials for that space. I had to share this next link when I found it. Here are step by step instructions for DIY confetti tape. Add a little happiness to your packages! I have to admit that I haven’t seen the first Sharknado let alone Sharknado 2. But I do have to tip my hat to the silly pop culture phenomenon that has taken the summer by storm (pun intended). I found the image above in one of my favorite links this week and couldn’t resist. Our pool days are numbered but we still have a couple of weekends left to enjoy the water. 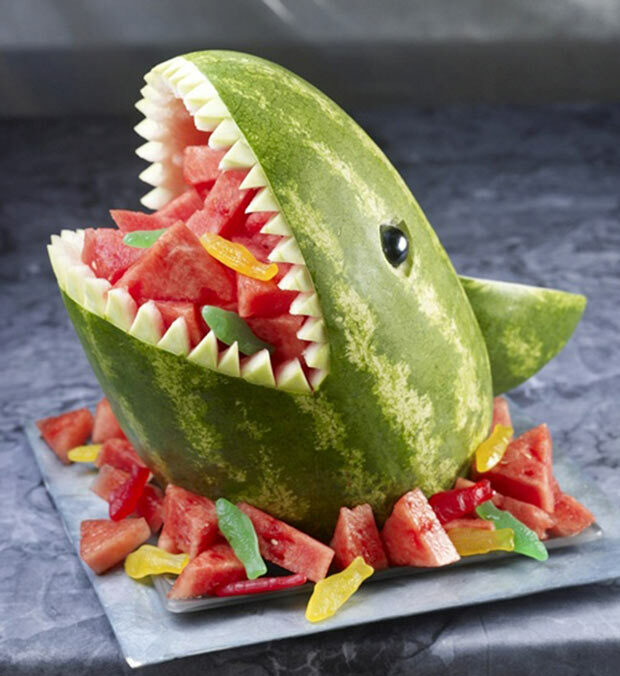 If you’re hosting or attending an end of summer pool party, you’ve got to take a look at this roundup of the best pool party food (including a link for the watermelon shark above). You don’t have to push your maxi skirts and dresses to the back of the closet for the fall and winter seasons. Here are 20 style tips that make these comfy dresses work all year long. This is my favorite pin of the week and it features a gallery wall of framed silhouettes. Short of hitting an artist’s booth at some craft fair, I wasn’t sure how I could create my own silhouettes to frame. But after some searching I found this simple DIY that looks like a cinch to follow. How many times have we heard that we need to drink more water? And how many times have you thought “Are all the trips to the bathroom really worth it?”? Looks like it’s still a yes. Here are 6 things that happen to the body when we don’t get enough water. With fall right around the corner, we’ll be trading our shorts for jeans before you know it. This denim guide helps you find the right fit for your figure. Kids are howling in protest and mothers are doing the dance of joy as the school year officially starts this week in my area. Although it does kind of feel like the school calendar is cutting more and more into summertime, I guess we’ll sacrifice in the name of sanity education. 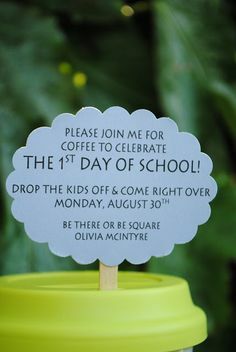 And so I lead off this week’s favorite links with this cute back to school coffee party idea that makes for an easy get together just for moms. Everyone needs a crisp white shirt (or two or three) in their closet and here are 10 stylish ways to wear one. I’m guilty of eating boring breakfasts made up of nothing more than a protein bar and coffee but I may change my tired ways after checking out these scrumptious looking morning meal ideas. The NFL kicked off the preseason this week and I’m ready for some football! To celebrate I’m sharing this recipe I found for beer nachos (you’re welcome husbands). This chalkboard paint idea for a bathroom is my favorite pin of the week. It would be fun for a lower level bath and everyone would love adding their own graffiti! Got a birthday coming up? Be sure to check out this list of 19 retailers that give you a special treat on your big day. The pineapple, traditionally a symbol of hospitality, is definitely trending this summer. When I was on our beach vacation a few weeks ago, I gave a nod to this trend by sipping pina coladas every day (ha!). But I’m also wearing it. 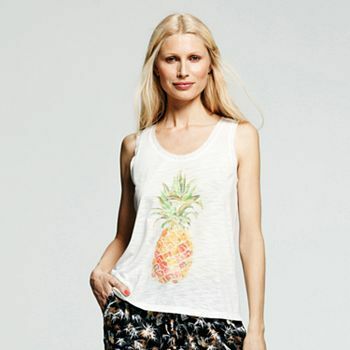 I picked up the Peter Som tank top from Kohl’s pictured above. Right now you can find the pineapple motif on everything from iPhone cases to artwork. Here’s a fun round-up of ways to incorporate this happy fruit. A shirtdress is an easy breezy piece for summer and you can style it for so many different looks. Here are just a few. I love random cleaning tips that actually work. Guess which Kool-Aid flavor gets those lime deposits and stains out of the inside of your dishwasher? Click here to find out. Kick your corn on the cob up a notch with this grilled cilantro-lime corn recipe. Summer is far from over and now is a great time to pick up another pair of sandals to get you through the rest of the season. Here are 14 stunners and they’re all under $50. “I carried a watermelon.” . . . quick name that 80s movie! Only one of my all time favs, Dirty Dancing! Sort of a random way to start this post but I’ve had watermelon on the brain this week and I love that line from the movie. The grocery stores are filled with bins of juicy, ripe, delicious watermelon. It’s a fruit that everyone in my family will eat so we’ll load up on it over the next month. 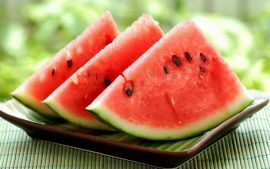 To mix it up some, I found this collection of 12 recipes that include watermelon. IKEA is opening a store in Kansas City this fall and I can’t wait! I find lots of cool decor ideas on the web that start with an IKEA item and with a little ingenuity, they’re transformed into showstopping pieces. These are referred to as ‘IKEA hacks’. Check out these amazing hacks to get the gist. Staying on the topic of decorating, here are 6 decorating rules made to be broken with tips on how to pull it off. This link is a must read for, frankly, everyone who has a social media account. If you only take away one snippet, let it be this: “Instagram is often a shiny happy world where people post only the moments (and outfits, meals, parties, and destinations) they want people to see (edited and filtered to perfection.)”. Let me add that it doesn’t just apply to Instagram (*ahem* Facebook). ICYMI (in case you missed it – took me forever to figure out that acronym on Twitter! ), the Nordstrom anniversary sale started on Friday. It runs through August 3rd. This is my favorite round-up of pieces under $100 to consider adding to your wardrobe. Happy shopping! Did you know that July is National Ice Cream Month? Yes, you read it right. 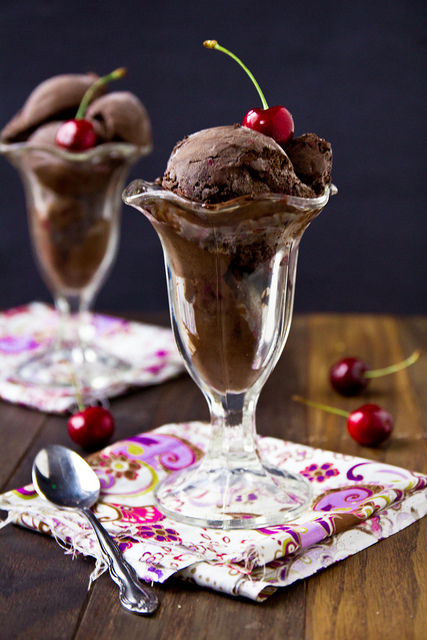 The entire month is dedicated to this fabulous frozen dessert. Like I needed a reason besides the fact that it’s summer to eat more ice cream. To celebrate this quirky recognition of July, I thought I’d share some of my family’s favorite ways to enjoy this summer treat. Have a sundae on Saturday! We like to break out our traditional sundae glasses, fill them with a couple of scoops and customize it with our favorite toppings. Speaking of toppings, how about this unique way to serve them? Put your favorites in champagne glasses and tuck them into a rustic crate. 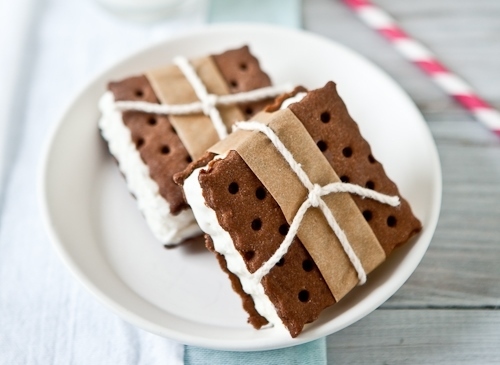 Ice cream sandwiches…need I say more? 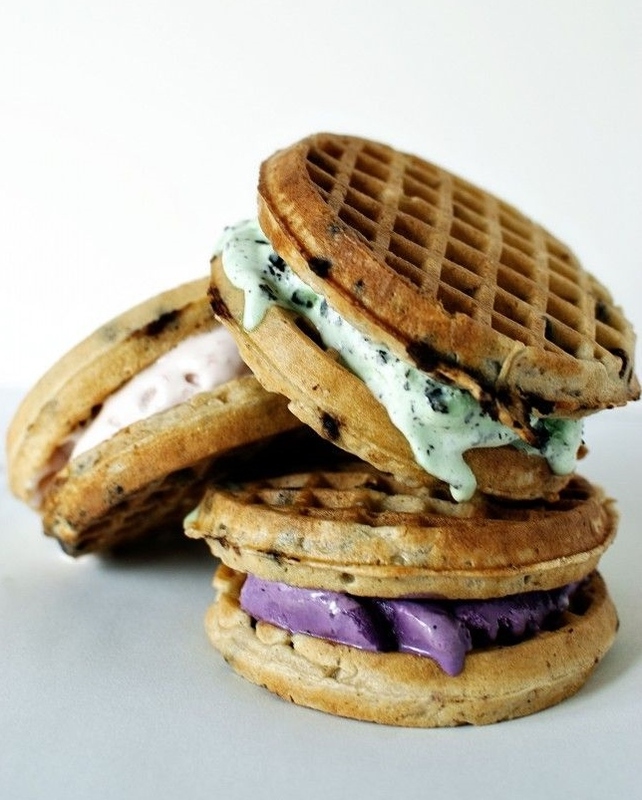 A good friend of mine combines waffles and ice cream for breakfast on her kids’ birthdays. But I think National Ice Cream Month also qualifies! Sometimes simple is best and it’s pretty tough to beat the traditional waffle cone. Check out these 8 fun facts about America’s favorite treat.